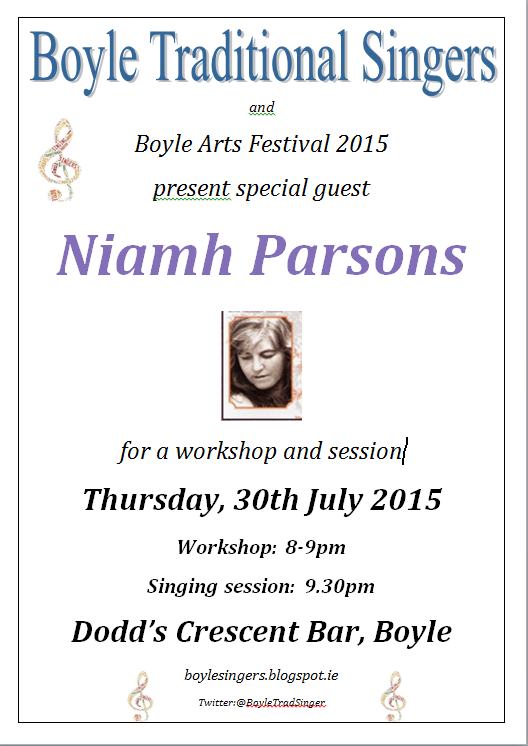 Niamh Parsons - for the Boyle Arts Festival Special Traditional Singers' Session, Thursday 30th July. 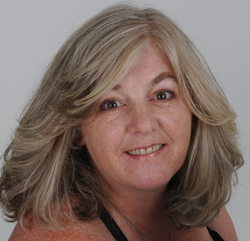 Niamh Parsons will be our guest at the annual, special, Boyle Traditional Singers' Session, part of the Boyle Arts Festival 2015, Thursday, 30th July. Niamh will run a singing workshop (8-9pm) before the session (with herself as Special Guest) begins at 9.30pm..
Niamh Parsons has come to be known as one of the most distinctive voices in Irish music.Growing up in Dublin, Niamh's music loving parents brought herself and her sister to the local folk club in The Old Shieling Hotel in Raheny, where the young girls were exposed to songs and singing from the likes of The Johnstons, Emmet Spiceland, Sweeney's Men, Dolly McMahon, Danny Doyle and many of the other musicians and singers that were playing in Folk clubs at that time. 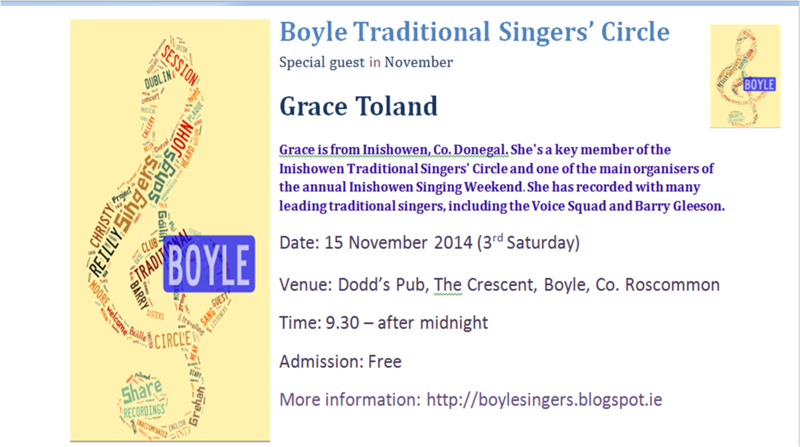 Congratulations to our guest of November last, Grace Toland. 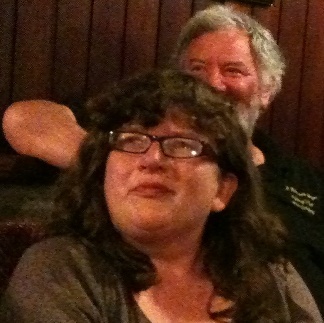 She will be the next Director of ITMA, the Irish Traditional Music Archive. Grace will take up office later this year. The current Director, Nicholas Carolan, co-founded the Archive in 1987 and has led its development into a leading repository of Irish cultural materials (www.itma.ie). Nicholas is due to retire in mid-2015. The Archive has also won a 2015 TG4 Gradam Ceoil, Gradam Comaoine TG4 (Outstanding Contribution to Traditional Music and Song) - Irish Traditional Music Archive - Taisce Cheol Dúchais Éireann. Comhghairdeas faoi dhó ag foireann na Taisce. Bronnfar an Gradam ag ceolchoirm mhór i gCorcaigh, ag deireadh Mí Feabhra. Birds of a feather - the Bird Song Project. Do chúl trom tais na bpéarla is dom chéad míle grá. Have you heard about the Bird Song Project? 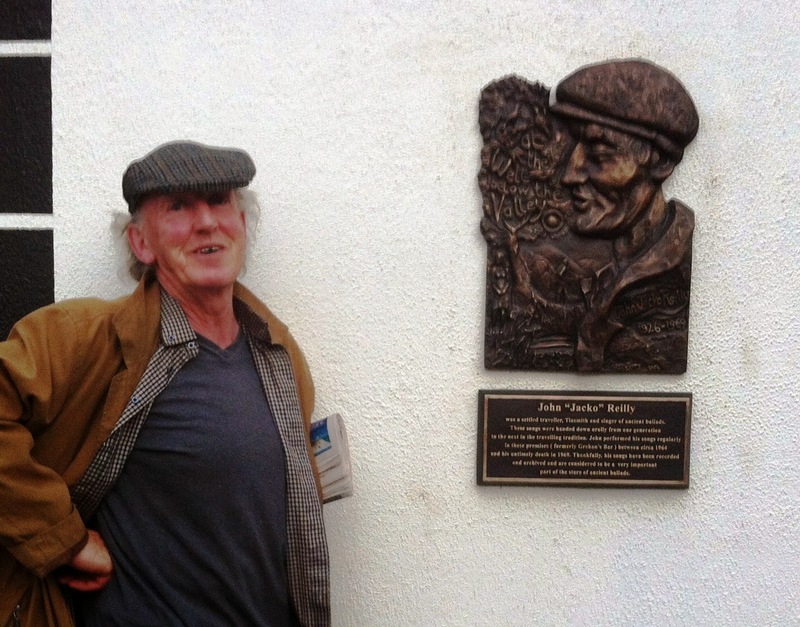 This is a project by Aileen Lambert and Michael Fortune, a couple of artists based in Wexford. The Bird Song Project is supported by the Irish Traditional Music Archive and the National Library of Ireland. The Project is being devised and produced for Bealtaine 2015. Michael and Aileen will work with singers from throughout Ireland and their research and performance will feature songs from the Irish tradition, in either Irish or English, which feature or reference, birds or birdsong. At the end of the Project, there'll be a series of four concerts, with singers representing each of the four provinces, in the National Library of Ireland in May. 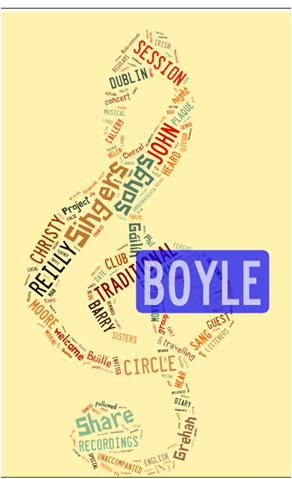 As a kind of 'surround (bird) sound' for the Project, Michael and Aileen are inviting all the Singing Clubs and Circles to become part of the wider project by hosting their own bird-song themed night during the month of May 2015. 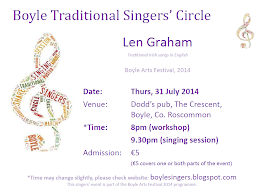 Boyle Traditional Singers' Circle is planning to be one of those Circles who devote the May 2015 session to the theme of birds and birdsong, as far as possible. When we're doing this, we'll be connecting with other Clubs around the country doing the same thing, all part of an All-Ireland themed-song event. So now is the time to start learning new, or polishing up older, songs, featuring birds. There's flocks of them out there. Join in the chorus! The thrush and the linnet too. 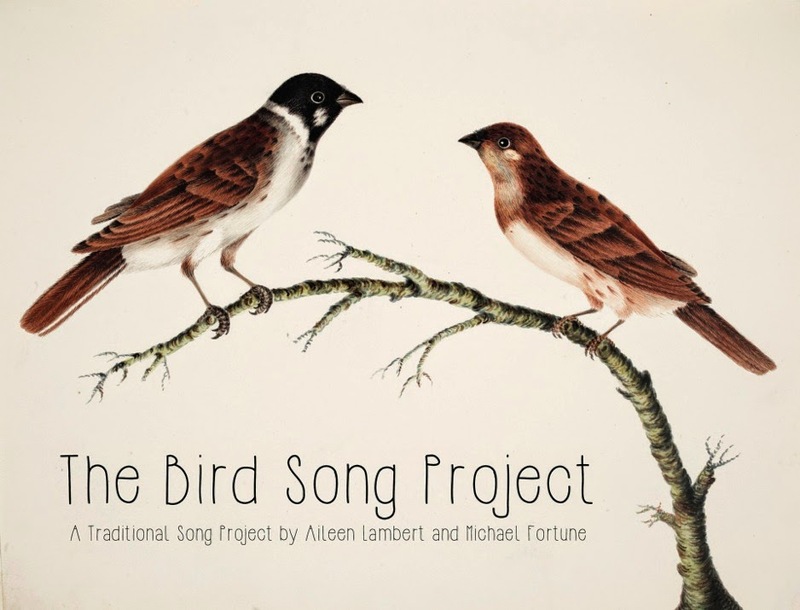 If you want more information about the Bird Song Project itself, please contact Michael Fortune at micfortune@gmail.com.